Hi again folks – second try, appears the board ate the first one completely. Update time. First of all, once again let me re-iterate that all existing models released on Shapeways will continue to be held at their current prices until the end of the year, after which they will switch to the new prices. Aotrs Shipyards is now open (albeit still as a beta…!) for direct printing commissions from the Replicator. Prices are still being sorted out as I print and log stuff, but (at a very rough estimate!) about 30% less than Shapeways for most 144th vehicles. The locking turrets are so designed such that, once you put them in (at a 45º angle) and turn them, they don't fall out. I can't put these on every turret (the Boxer's MG at 3.6mm (current size) is the absolute minimum size you can physically do it without leaving a visible hole in the model, so stuff like a lot of the pintle HMGs will be unaffected), but I am going through as time allows and starting to convert the ones I can, which is going to be the vast majority. At the moment, the locking turrets are being confined to a) new releases and b) direct printing (as uploading new stuff would change the prices at Shapeways to the new scheme) until the new year. The locking turrets will replace the old turrets entirely and will not be backward compatible with the current, v1 standard. (I will retain the old version for special print commissions, but after January, once I start replacing them at Shapeways, the v1 turrets will no longer be available from there.) If, at that point, you are interested in buying a model (for Shapeways!) with the locking turret I haven't gotten to updating yet, just shoot me a PM via Shapeways (et al), and I'll update that for you. Shapeways has now rolled out the new pricing scheme for all new models, so I have been able to finally examine their final results of the new scheme. Okay, so what about Shapeways. It's a bit of a good news bad news situation. The prices for the old WSF (versatile natural plastic) have gone up very slightly – a few pence (like, two or three); the most notable change here is that there is now a minimum $5 USD floor. This will affect some smaller moderns vehicles Some of the current ones like the BMDs are BDRM-1s might go up 10p or so when the prices change; but it's not really worth doing anything with, as even sprueing 'em up would likely lose that amount in extra volume cost). smaller starships will also be affected. So then. With the prices staying reasonably stable, I will be continuing new releases on schedule as normal in November and the Shipyards can continue operations as it has before at Shapeways with only some minor tweaks. The big irony being that if Shapeways had just come out and said that from the start, they would likely have not caused anything like the faff they did – but, of course, what we don't know is how much they changed their plans as they registered a good number of their larger shop owners making a deliberate search for alternatives. Some of my products have doubled in price, while others have dropped slightly. I'd love to get my own SLA printer, if that were feasible. What kind did you get? I have a Replicator 2, which is FDM (PLA), not SLA. When we get enough the printer fund up enough, we're going to get a Wanhou mini (also an FDM) as a supplement to do the majority of the production work. To be honest, in a great deal of respects, with Simplify3D as the slicing software, the quality is as good overall as Shapeways (better in some aspects, not as good in others), if requiring a little more clean-up sometimes. My 144th infantry is still better commerically printed, if for the primary reason that stringing is more common on infantry and printing them one at a time when you want, say, 40 to minimise that is a bit tedious. That said, the grey PLA we've been using we suspect is slightly worse than the brown we've had before, so we're gonna try that again next time, so that might be part of it. Good to hear on some stuff, but not the FUD pricing. That is rather a shocking increase, and will probably kill off some sales. Perhaps metals manufacturers will use them to make molds, and then sell us what we really want – heavy metal, for less. For smaller turrets, magnets should work. Could use some prone, Cold War infantry – US, UK, West Germans, Soviets, etc.. Casualty figs too. Perhaps individual figs for some, but I'd also be interested in pre-based, sections for squads, or 3 – 4 guys to a base, with a mix of poses – guys firing rifles, MGs, A/T weapons, etc.. Preferably, not all "clones" of the same pose on a base. Thresher, In a fit of insanity I did some some figures for the Soviets with RPK 16, the standard weapon with the curved magazine and the longer barrel and round drum for the Squad Assult Weapon. And they have an RPG (i'Cant remember which one). However these are REAL SCALE as near as damit so no real detail at all, as at real scale its too small. At real 1/144 you can't have detail its too small. If you look at the ILTIS Jeep crew you can see they are simple models, but unlike the "Stuff" sold as scale models there are very close to real size. I will try and get some pics up in the next day or so. I could put up renders but I, like Alex would rathet show the real thing its much better to show what you will actually get. All that I have for NATO is a Garl Gustav team (used by Germany and UK) because you can't get them and a sensible scale Milan team. Again generic figures due to real scale models. (typicaly 5 ft 8 ins) at 1/144. I don't sell a huge amount in FUD, and I always said it was over-priced (I always recommened the basic plastic). You realise that would be basically be the same as recasting, right? I've looked at making molds with an unlimited license for personal use, but the materials available through Shapeways just isn't cut out for making finely-detailed flexible molds. I'm sure someone will come up with a silicon printer within the next few years. I've been considering dropping the cash on a DLP printer, now that the price has come down below $1,000 USD, or maybe set up a GoFundMe page for a Formlabs Form 2. It's okay to beg people for money, right? No, it's not recasting if you use Shapeways to print your designs, and then lease/sell those to others to make into metal minis (since you've mentioned in the past you don't want to do this). Some other manufacturers are already doing this, and have been doing so for some time. GoFundMe sounds like a decent option too, or, better yet, just get some backers that are willing to contribute, in exchange for stuff, once you're up and running. A lot of us around here know you, so you might be able to cut out the middleman, if you can produce stuff they want. If I'm, leasing them, yes, though that was not what your post implied. I have done casting masters before – Kalliatra's 144th WW1 tanks are all Shipyards. However, it should be noted that models that are castable and models that are designed specifically for 3D printing require different design criteron and the former require more sacrifices, as 3D printing allows you do do things you can't cast. Thresher, I had a look, realey you would save nothing by going to casting the Shipyards stuff. Shipyards stuff is about at the middel of the cost of metal 1/144 and definitely towards the top on quality personally I think its unrivaled but everybody has different opinions on what is absolutely the best. If you order a batch of FDM printed off Alex its even cheaper and the quality is the same again in my experience. Much of the older cheaper 1/144 stuff is way off scale. In my personal opinion metal is far less durable and more incosistant in detail so would be worse than a 3D print. Okay, Shapeways, with their usual level of alacrity, have only just *now* released a spreadsheet tool so you can actually compare prices of the old prices (which will change on ther 4th of February) and the new ones, so I finally have some sensible idea of what's changing. 1) For (old WSF) versatile plastic, up-to-date, sprued models have gone up by about 4% – unfortunate, but livable with. It appears Shapeway's deliberately obscured pricing scheme has changed to a flat minimum $5 USD per part, so multiple part models will be very expensive now. A lot of the smaller starships will require spruing into more numbers than before, since many of them fall below the $5 USD cut-off price; older models at 144th (such as, say, the Cybertanks) I haven't ever gotten around to spruing have gone up more than that – but will go back down once I get around to spruing them together. 2) For the detail materials, there appears now to be a minimum price of $7.5 USD (per part), and the prices appear to have increased somewhere between 30-40% – larger models have increased less. Meanwhile, work on the catalogue for the direct sales is still ongoing between keeping everything ticking over. Progress is slow, but measurable. Another quick update. 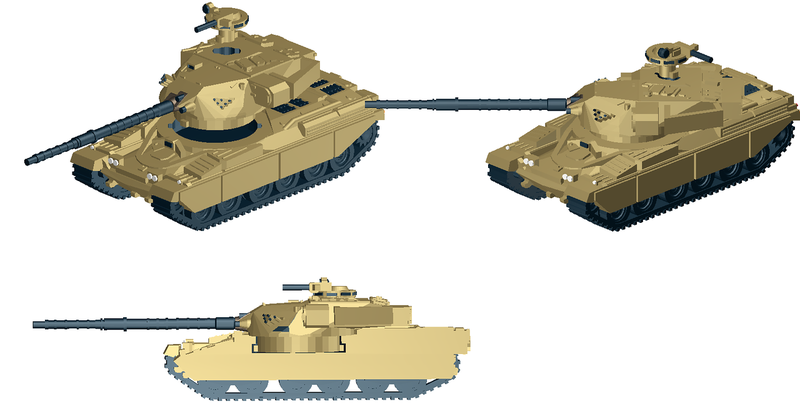 With their usual level of competance, Shapeways bounced all the T-62s (naturally, which had been ordered by two customers at once) – despite them printing fine previously) and I cannot update the models (to even if see if the fix even worked) until the new pricing scheme comes in on the 4th of February (unless their customer service does something, but I somehow doubt it). I will, however, prioritise updating them for the direct sales on Tuesday (my weekned in Sun/Mon), so if anyone wants them before then, contact me. I can only apologise for the inconveinace. Shapeways has recently said that starships (basically flat minis) were hit too hard by the new formula for Fine Detail Plastic. We saw the same increases you did there, but are hoping the revamp in formula mid-February will help. If you don't care about the print history on the T-62s (which will get reset with a new file anyway), then you can upload the files as new ships and delete the old ones. Unfortunately, the Fine Detail Plastic will be repriced to the new levels, but if your customers are willing to wait until mid-February, then they could check back to see if the price dropped down some. Sorry, that's all the advice I can think of. As ADB Marketing says, Shapeways still didn't get their pricing algorythem sorted them, so that is still uncertain. I did eventually get it sorted later that week (basically, you had to take them out of sale, update and then re-activate them for sale); unfortunately, neither of the customers re-ordered (good job, Shapeways, lost sales for both of us).